Nicole Canning Freelance travel writer and co-founder of the adventure blog TheTwoScoops.com. Want to see a whole, beautiful, cultural and colorful country in just two weeks? Book a flight to Vietnam and we’ll show you how to do it. This 14-day Vietnam itinerary is fast-paced and you’ll have night trains and long bus rides ahead of you, but you’ll really get a sense of what Vietnam is all about. Ready? Let’s go! Fly into Ho Chi Minh City airport and kick start your adventure right in the heart of Vietnam. Ho Chi Minh City is vibrant, buzzing and you’ll have a real sense of Asian city life just walking down these beautiful streets that still have touch of colonial France about them..
For your first evening in Vietnam, head to one of the many rooftop bars in the city such as the Rex Hotel, one of the classic colonial Saigon institutions. Next up: An overnight train to Nha Trang! I’ve written a blog post especially about hints and tips for taking night trains in Vietnam. 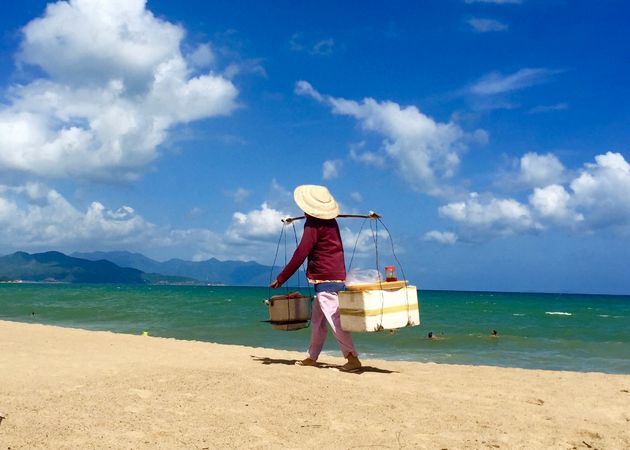 Nha Trang has a relaxed, hippy beach town vibe that you’ll love it as soon as you step off the night train at dawn! Leave your luggage at your hotel and head straight to the The Sailing Club on the main beach strip. It is a beacon of luxe and relaxation after your first night train experience. 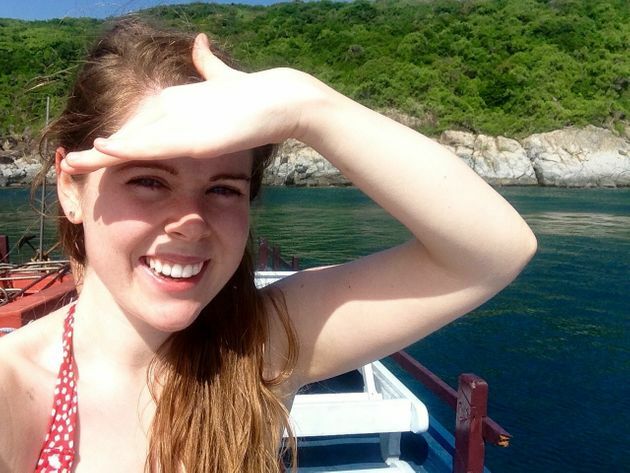 Snorkelling trip: Check with your hotel or hostel as they will probably point you in the right direction. Thap Ba Hoy Springs Centre: It’s about a 6km tuk tuk ride outside of the city, but worth it for all its gooey, muddy-ness! Vinpearl Water Park: This is an island off Nha Trang dedicated to water park amusements and you get to take a Guinness World Record 3,320 meter long sea-crossing cable car to get to it! Dinner at Lanterns: Not only is the food incredible, but the restaurant works with 12 schools and orphanages to set up scholarships for teenagers and young adults. After all this activity, you’ll sleep well on your next night train to Hoi An! Hoi An has a deep historic core with its UNESCO World Heritage site protected old town quarter of the city; no cars are allowed past the old town walls so everyone is on foot or bicycle. 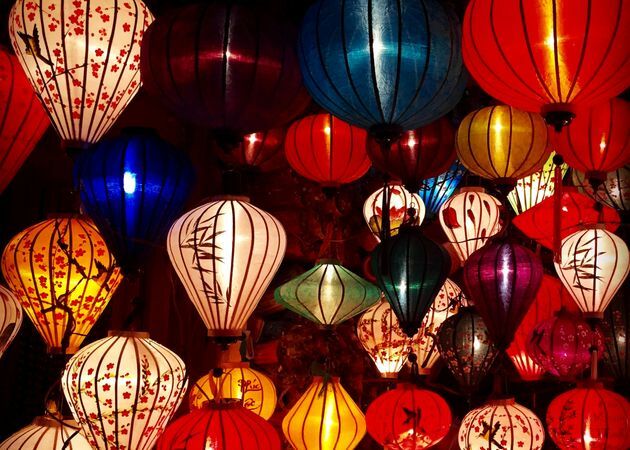 The streets are lined with glowing lanterns and beautiful, dusty yellow-fronted buildings. At night, the river starts to twinkle with the wishing candles that float down it and the night market comes alive. If you’re looking for a gourmet Vietnamese experience, head to Morning Glory. Ran by Ms Vy, the menu is jammed full of delicious traditional Vietnamese meals with a twist. For a more humbling experience, head to Oodles of Noodles – just like Lanterns in Nha Trang, it is both a restaurant and school for underprivileged teenagers. Next up: Board a night train to Hanoi, but you won’t be there for long as your next stop off is Halong Bay! From Hoi An, take an overnight train to Hanoi, and then a bus to Halong Bay. 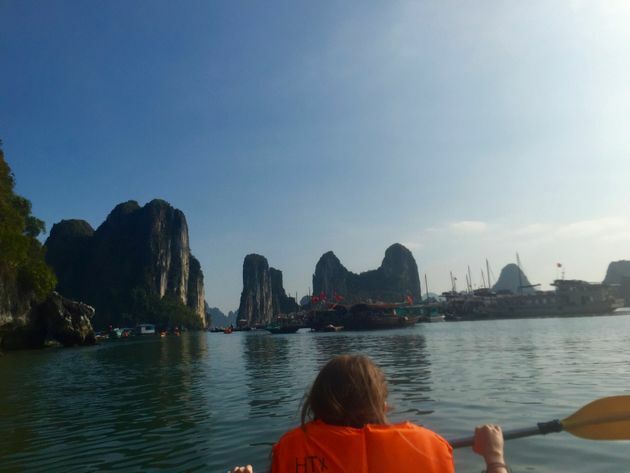 There are hundreds of boat tour operators to choose from; from afternoon sails to see the bay area, day long tours that stop off at the caves and kayaking spots and some are even party boats that stay out at sea overnight and promise a good oceanic rave! The next day retrace your steps and head back to Hanoi by bus. This is a crucial day if you want to squeeze Sapa into your trip. The same day you leave Halong Bay, get on a night train to Sapa. Based in Vietnam’s remote northwest mountains, Sapa is known for having an equal mix of rugged scenery and cultural diversity. Sapa is a picture-perfect postcard of rural Vietnam in the Hoang Lien Son mountain range near the Chinese border in northwestern Vietnam, known as “the Tonkinese Alps”. Enjoy the respite from the buzzing cities of Vietnam for a couple of days before heading back to Hanoi. 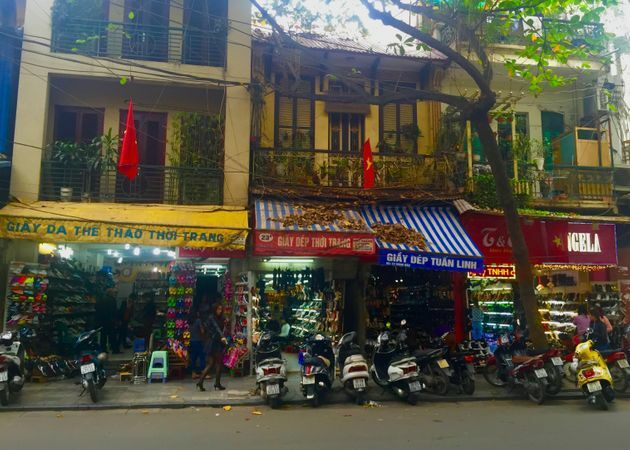 If you’re flying out of Vietnam, make your way back to Hanoi. Vietnam’s capital city is loud, hot and it’s constantly alive with people. Mopeds constantly whiz by with an alarming amount of passengers. Be ready to feel the buzz of activity! Ho Chi Minh Mausoleum: Situated in Ba Dinh Square, the mausoleum is one of the most visited attractions in Hanoi. It is the final resting place of Ho Chi Minh, the most iconic and popular leader of Vietnam – who the Vietnamese people affectionately call ‘Uncle Ho‘. Hoan Kiem Lake & Ngoc Son Temple: Grab a Vietnamese coffee to go and take a walk around the beautiful lake in Hanoi. Pub street: Yup, it’s actually called Pub Street! By day, try Little Hanoi for a great dinner. By night, grab a bucket full of our favourite cocktail and join the street party! 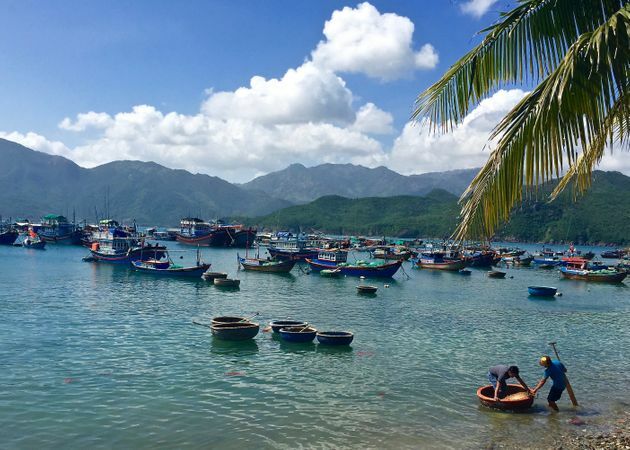 So there you have it – 14 nights in Vietnam, traveling the length and breadth of this beautiful country, from the buzzing streets of Ho Chi Minh to the stunning Halong Bay and historic Hanoi.